Many people can’t do without a cup or two of coffee every morning. Some need to consume additional cups during the day to keep them energized and alert. While enjoying a quality of coffee is easy, the difficult part is preparing the beverage. Imagine having to make a cup every other hour, drinking not-so-fresh coffee that was made a few hours earlier, or consuming substandard or low-quality premixed instants? The best way to enjoy the rich flavor, taste, and aroma of freshly-made coffee is by using a top notch coffee makers. We have compared and verified the top 10 best coffee makers in 2019. Read on to find out the products that made the cut. Size: This is determined by how many cups you take in a day or the number of people. The higher the number or frequency the bigger the size should be. Capacity: A single person who takes one or two cups, or a few times a day can do with a single-serve coffee maker. However, an office with several users or coffee addicts needs a large-capacity product. Preference: Some people love the plain old coffee; others prefer cappuccinos, while some consumers love their espresso. Coffee makers come with varied functionalities and it’s vital to choose the one that best meets your needs. Counter space: A large maker requires larger space compared to a smaller type. Using a large accessory in a small space is not only inconveniencing and obstructive but also easy to knock the appliance over. Convenience: Making coffee in the morning while in a rush or during the day in a busy office can be very inconveniencing. Unlike another person who has more time in his/her hands, a busy person is better suited with a simple device that requires minimal time and effort. 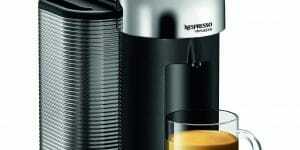 Cost: it’s necessary to choose a coffee maker based on your budget. It makes no sense to burn your pockets on a high-end accessory while you only consume a cup or two in a day. Or spend lots of money on a type with extra features (espresso, cappuccino) yet what you need is simple plain coffee. Other features include; programmable settings, built-in grinder, multiple warmers, auto shutoff, frother/steamer and water filter. 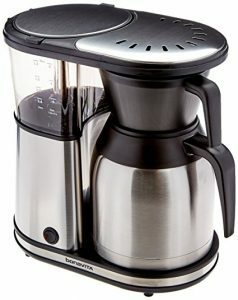 This carafe coffee brewer by Bonavita has an 8 cup capacity. It features a 1500 watt heater that maintains optimum temperatures of between 195 and 205 deg Fahrenheit (1-96 deg centigrade). 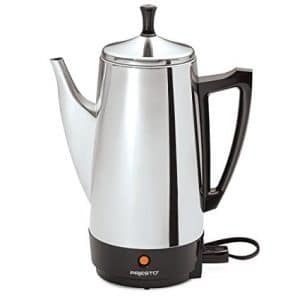 This produces rich, great-tasting and smelling brewed coffee. Its simple design and one-touch brewing save you time while the stainless steel construction assures you of longevity. The Cuisinart CHW – 12 coffee maker can produce up to 12 cups of coffee. It is fully automatic and features a glass carafe for the best quality. The well-designed ergonomic handle makes carrying easy while the drip-free spout minimizes spills and mess. The unit 24-hour programmability together with the 1-4 cup setting improves convenience. 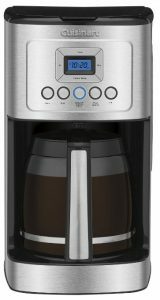 Other features are adjustable auto-shutoff, adjustable carafe temperature, and brew pause. Brewing up to 10 cups of quality coffee is what the BUNN NHS Velocity coffee maker does. 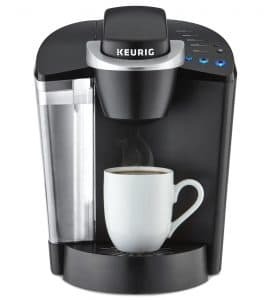 It comes in the classic Keurig K cup and includes 4 ponds, 2 water filters, and water filter handle. You have the option of brewing 6, 8 or 10 ounces at the touch of the button. Its large 48 ounce water reservoir ensures you never run out of coffee whether at home or in the office. You are nonetheless advised to descale the unit during cleaning. 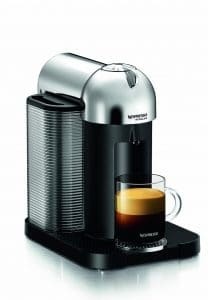 The Nespresso GCA1-US-CH-NE VertuoLine system is targeted at people who love fresh and aromatic coffee and espresso. It is well designed and features a 40 ounce water reservoir. Heating up takes just 15 seconds and by activating the auto off, the brewer will shut off after 9 minutes elapse. To produce coffee plus cream or espresso, it relies on revolutionary Centrifusion technology. 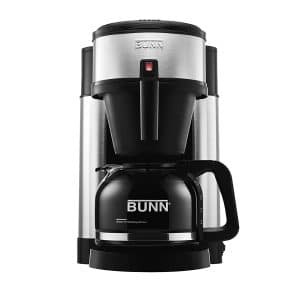 Designed to make up to 10 cups of quality coffee within 3 minutes, the BUNN NHS coffee maker is regarded as among the fastest.It is popular for the home and office and relies on advanced BUNN Speed Technology that makes great smelling and tasting coffee fast but in a simple manner. The water inside the unit remains hot at all times while the multi-stream head effectively sprays the coffee grinds. This blending is further improved by the large filter and funnel. 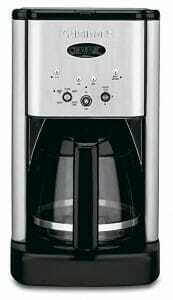 The Hamilton Beach 49980A is a versatile coffee maker and functions as a Single Serve or Full Pot maker. The single serve option is suited for an individual and produces one cup at a time while the Full Pot option can brew up to 12 cups of coffee. Whichever your preference, you will get the quality coffee courtesy of the topnotch glass carafe, brew strength selector, and quality design. 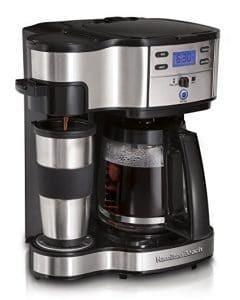 The unit also features 2-hour auto shutoff, adjustable multilevel cup rest, pre-packaged soft pods and programmable timer. Making as many as 12 cups of coffee isn’t a problem with this coffee maker by Cuisinart. The Central DCC-1200 is designed for people who value their coffee and want it ready within minutes if not seconds. It consists of a 12-cup carafe, adjustable heating element (high, medium, low), charcoal water filter, and programmable auto shutoff (0 to 4 hours). Cleaning the highly-polished metal surface is simple and easy. Considering that it’s made from premium stainless steel, the Presto 02811 coffee maker will serve you well for a long time. It’s loved by many consumers because of its simplicity and within a span of 2 minutes, you will be enjoying a delicious and aromatic coffee. The unit can produce from 2 to 12 cups and includes an easy-pour spout. The traditional-styled accessory is not only stylish but also easy to clean. 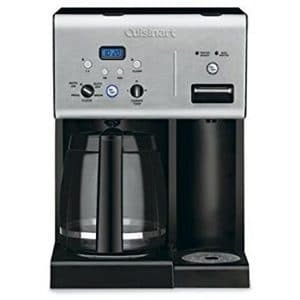 This Coffeemaker by Cuisinart has a 14 cup capacity and is suitable for the office and home. It features a glass carafe that keeps the coffee warm and fresh, ergonomic stainless steel handle, and commercial style filter. The 24-hour programmable accessory is fully automatic and features adjustable temperature control. Other key aspects include self-cleaning, brew strength control, 0-4 hour auto shutoff and 1-4 cup setting. The Idylc Homes KONA French Press is designed for brewing coffee, espresso, and tea. 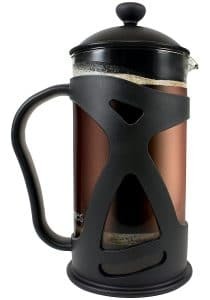 It features a black 34 ounce glass pot, comfortable handle, and insulated outer shell. The portable and handy unit is easy to carry around and won’t break easily thanks to its sturdy design. It is dishwasher safe, easy to clean, and features a detachable stainless infuser filtration system. Enjoying a freshly-made cup of coffee doesn’t need to be time-consuming, inconveniencing or costly. With the right coffee maker, not only are assured of a quality cup fast but great taste and aroma. In fact, top sellers produce professional coffee just like high-end makers. Thinking of a quality cup of great-tasting coffee, why don’t you revisit our top 10 best coffee makers in 2019 review and make a choice?